/ Barriers to entry. What barriers to entry? When acquiring a company the issue of barriers to entry often comes up. The prevailing argument is that the company is a good target/investment if it benefits from barriers to entry. This rational goes like this: new entrants have to incur costs no longer borne by the incumbent players. These costs are high; they act therefore as a deterrent to new entrants. Another rationale: regulation or regulatory costs make it difficult for new entrants. It is therefore unlikely that a new competitor will enter the market. There are other arguments on barriers to entry but they all revolve around notions of cost to entry, hurdles and in general anything that protects incumbents. The inference is that anything allowing incumbents to make supernormal profits and blocking new entrants is a barrier to entry. This is the theory. We, on the other hand, are practitioners and we are sorry to report that the above definition has not been of much use to us. One useful feature to keep in mind: barriers to entry belong to an industry, not to a company. We often speak about a company, thinking that it is a good company because it benefits from barriers to entry: high capital expenditures, sunk costs, regulation barriers, etc. At best, the barriers-to-entry argument tells a story about the industry, not about the company itself. But the real reason why the argument is not actionable is that it lacks predictive power. This is because you cannot say whether there will be new entrants or not. In real life, even with barriers to entry there are new entrants. The rational does not have predictive power. The reason is that the focus is on cost – and, as it turns out, costs at the entry point are not that relevant. New entrants would not mind the entry costs as long as they can get revenues fast enough. It is indeed a matter of return on investment. In this equation, costs are relative. The important notion is profit: how much and how fast a new entrant can generate profits? 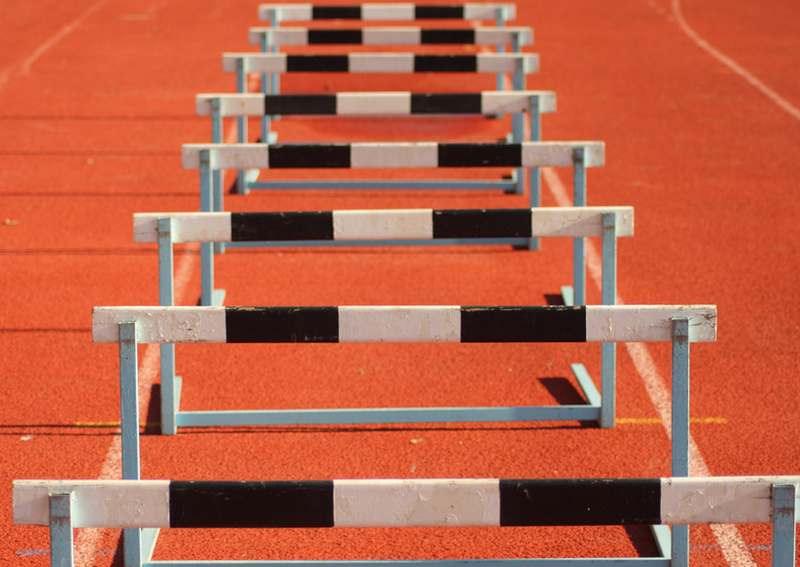 Costs can be large or small, hurdles – high or low. It is relative; it does not matter. What determines the return on investment for a new entrant is the profit pattern: how much, how fast. If we want to get some predictive power out of this argument, we should focus not on the cost, but on the profits available to new entrants. A market where there aren’t many clients/buyers and existing ones are very hard to switch – this is a market with true barriers to entry. Examples, please. Think about specialty chemicals, semiconductor design (ASIC’s), technical fabrics, etc. Products are tailor made, they take a long time to be developed, they are often critical – they are hard to replace. The existing players in these industries already have a hard time gaining new revenues and new clients. Those who worked in one of these understand that organic growth can be discouragingly slow and hard. New clients typically start small; they take years to ramp up. But they stick around. Now, let’s take another example: education. Many have said and believe that education companies benefit from barriers to entry. Not so. The reason is that there are many new clients, all the time, and they are easy to get. Students. Renowned universities, starting from the top, so to speak, would in theory have huge price power. They could engage many more students, with much higher tuition fees. But this is not how the education market works (for more on this, read Al Roth: bottom line, pricing is not the dominant allocation mechanism). A large number of elite institutions enjoy significant market power but do not leverage it, at least not to its full extent. This results in quite a number of less selective institutions that use their pricing power to get students, new clients, that is. They capture unmet demand trickling down from the top. Of course, in this view, education is seen as much broader industry than simply liberal arts colleges and engineering schools. It includes such fields like arts and theater schools, chiropractor schools, schools for daycare practitioners, etc. All this is not, however, the result of barriers to entry. A wise investor should keep this in mind. It is the trickling down effect. As long as it is easy to get students, there are new entrants. No matter what the entry costs and hurdles are. A final word of caution: as an investor, if you think about barriers to entry as an argument to invest, you might be already in a confirmatory mode. Watch it. With teams in San Francisco and Paris, we work throughout the United States and Europe.